Are you looking to upgrade your lawn and improve the look of your landscape and curb appeal? This year, it’s all about growing your own fruits and vegetables, growing native plants, and creating comfortable seating areas. Water and energy efficiency is becoming more popular each year, so installing a water-preserving irrigation system is another eco-friendly choice. Are you ready to transform your garden and turn it into an urban oasis? Keep reading to discover the most talked-about trends in landscaping design this year. Native plants are among the most requested front yard landscaping ideas for 2018. Instead of growing plants that struggle in different climates, use plants that are native to the state you live in. This will help them thrive much faster and as a result, you’ll save water, money for maintenance, and energy needed to keep them alive. You may be tempted to spruce up your yard with exotic trees, shrubs, and fruits, but they need very specific weather conditions, soil, and maintenance. For example, if you want to grow cacti that love arid soil, heat, and very little water, you can’t expect them to thrive in areas where it rains several months a year. Growing native plants is better for the environment, the ecosystem in your area, and your wallet. Most native plants don’t need human intervention to grow because they’re already adapted to the environmental conditions. Cooking and eating ‘al fresco’ is one of the most popular backyard landscaping ideas of 2018. If you have ample space, invest in a fully stocked kitchen with a fridge, stove, barbeque, and a sink. Add a dining area where you can have family meals, invite friends for dinner cookouts and BBQs, and host birthday parties. If you love cooking, but don’t want your entire house to smell like food, an outdoor kitchen is perfect to keep the odors outside your home. Most outdoor kitchens are built to withstand the weather conditions and come with a sturdy cover for when you’re not using the elements. 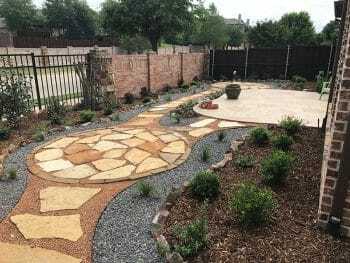 In 2018, landscapers are installing more water-efficient features and irrigation systems. Being eco-friendly is not only good for the environment, but also for the small ecosystem that is your backyard. You’ll also save a lot of time and money if you have drought-tolerant plants, gravel, and artificial turf instead of real grass. You can also add deck space and concrete sitting areas that don’t require a lot of maintenance. Another great option is having compost bins that you can use to fertilize your natural lawn, plants or the vegetable garden. The 2018 trends in landscaping design are all about growing your own vegetable and fruit garden. Whether it’s a horizontal or a vertical patch, the ‘garden to table’ approach is a great way to stay healthy and have immediate access to fresh food. You don’t need to have a green thumb or a big space. You can grow tomatoes, potatoes, lettuce, herbs, berries, and different fruits, depending on the climate in your area. If your community regulations allow it, you can also get a beehive and have fresh honey anytime or some chickens for fresh eggs each morning. Some of the most innovative landscaping design ideas include custom-made fire pits and water features. This will give your yard a personalized touch, but also a natural look and tranquility. Fire pits serve as a central point when entertaining and will make your space warm and beautifully lit. Water features like fountains, ponds, and small streams are a trendy, yet timeless component if you want to add some zen into your backyard. Both fire and water are natural elements that will add to the eco-friendly theme. In 2018, landscape trends aim for comfort and expanding the coziness of your home outside. Warm lighting, soft outdoor furniture, swing chairs, and even a jacuzzi will make your backyard a safe haven of contentment. In the warmer months, you can set up an outdoor cinema and invite people over for a movie night. If you have an outdoor kitchen, you can make popcorn and snacks or entertain guests for a dinner under the sky on a full-size dining table or bench. Find a space in the yard to create an intimate, cozy reading nook. Add a sun shade for daytime reading and a few lamps for nighttime. Install drawers or a small cabinet to store your books, blankets, and supplies. Based on the season and the weather, add heaters and coolers to make your stay outside more pleasant. Another way to make your backyard more useful is to build an exercise, yoga, and meditation corner. Having a backyard that is green, lush and healthy is popular year after year. You can opt for artificial turf to save time and money in the long run. It’s also easier to maintain if you want your yard to look fresh year-round. If you want your backyard to be all natural, go for real grass. Bear in mind you’ll have to fertilize it and water it throughout the year. Another issue with natural grass are pests, weeds, and animals that can destroy your lawn if you’re not careful. Natural lawns also require constant mowing for curb appeal and maintaining the health of the grass. This can prove inefficient if your goal is to have an eco-friendly and energy-efficient backyard. Which of These Landscaping Design Ideas Will You Use for Your Own Backyard? Whether you love having people over for an outdoor dinner or create a serene space where you can relax, these landscaping design trends are just what your backyard needs in 2018. Are you ready to overhaul your landscape? Let us help you create the outdoor space of your dreams! Click here to get a free estimate for your lawn and landscaping needs and we will get in touch with you soon.  If you have any questions or would like to learn more about our services, contact us today. Looking for more curb appeal inspiration? Visit our blog for more landscaping tips and tricks.